We can all agree that there is nothing worse than the look of a damaged tile – the task of getting it fixed can seem a bit daunting. Sometimes, tiles can, over time, become loose, get chipped when glassware or something heavy falls on them, break or crack from repeated use. At times, the foundation is damaged even when all precautionary care is taken. A damaged tile is not just an eyesore, but also renders zero value to your property in case you want to resale it. If your tiles are featuring any of the above-mentioned conditions, Get Dry Waterproofing Solutions can remove them, without causing any damage to the tiles around the perimeter. We are a popular tile repairs service provider operating in Sydney. Whether it is your washroom, kitchen, bedroom or even walls, you can rely on us for complete support. With detailed knowledge about the nitty-gritty of tile functionality, we strive to handle the irregularities on your floor or walls. Our experts implement the right tricks to make sure that your home or business establishment looks attractive and appealing. We cut the tiles to make them fit around uneven fixtures, besides repairing them on curved surfaces. While looking for a tile repairing expert, you always try to make sure that you have an efficient and experienced professional at your disposal. Our tile replacement experts will do their job efficiency job and can re-grout to make it look new. We believe that no job is too small or too large, especially if you can get your work done at reasonable rates. Our tile repairs Sydney service are ready and waiting to take your call. Tile Repair – Get Dry can also repair some chips or cracks in tiles, without the need of removal! This can save you time, hassle and money. Tiles, sometimes, can be glued back together, without the joining line being visible. Mildew and mould stained grout lines; broken or chipped tiles can embarrass the looks of your internal space. 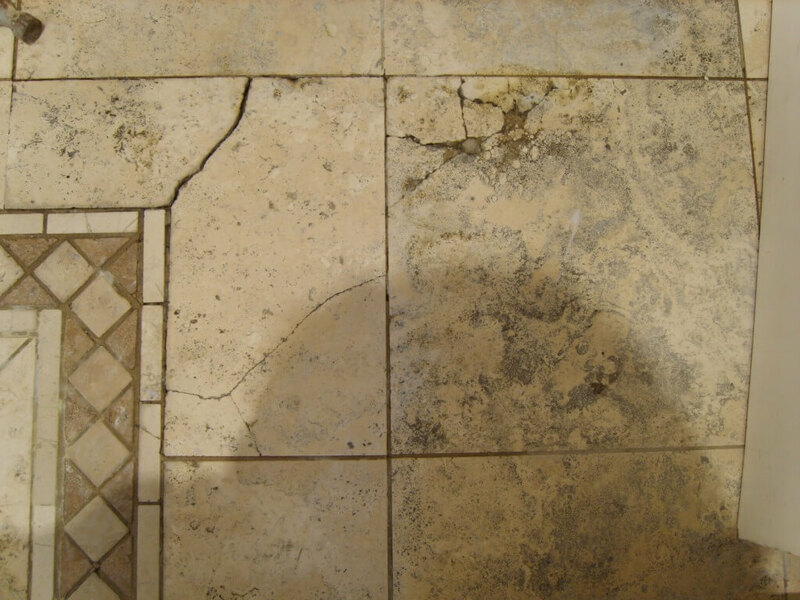 We can make sure that even the most grotesque looking tile surfaces look anew, post the tile repair service. Patching damaged tiles, cleaning and polishing are some of our services. If you think that your existing grout is fading or losing its luster, our polishing experts can help you out. We also take care of porcelain tiles that have undergone optical hazing and have a smudgy surface. Our cleaning services involve the use of advanced cleaning materials and specialized equipment to ensure a stain-free floor or wall both inside and outside your property. Whether tiles or grout joints, our services can offer you exactly what you want. Re-grouting – If you think that your grout is wearing and getting discolored over the years, don’t just think what to do. Contact Get Dry Waterproofing Solutions to avoid chipping and cracking of the floor. With years of experience and in-depth knowledge in tile repairs in Sydney, we make sure that you do not have to spend for a major overhaul in your home or commercial establishment just because you did not re-grout at the right time. Our professionals meticulously seal the tile floor to give a completely new look to your property. Since we aim to cater to the preferences of a varied clientele, we make it a point to associate ourselves, with the best and the most dependable suppliers in the industry. Our stock is replete, with various types of tiles that come in a range of colors and designs. You can select from a preferred price range, as per your needs and affordability, in case, you do not have course to spares. So before you start thinking about removing complete wall or floor bathroom tiles or kitchen, lounge, indoors or outdoors and worrying about the expense it will cause, give us a call. Our professionals will visit your premises to check the extent to which the tiles need to be repaired. We are aware how important it is to keep your interiors shining and good to look at, thereby using high-quality tools and equipment to get our job done. We can guarantee a comprehensive and foolproof job quality as the adhesives and grouts we use are of the highest standards. If that one tile or few are spoiling the look of your room or outdoor area you need to call the best tile repairs service professionals in Sydney. Call us for a no obligation free quote and advice to save your hard-earned money.